Plans are underway to create a crocodile village in the Caucasus. Armenia has a lot to offer visitors. Natural spectacles? Check. Ancient history? Check. Vibrant culture? Check. If there is one thing that is missing it may be crocodiles, but this oversight is about to be corrected. One local entrepreneur, Khachatur Sargsyan, has announced that he is setting up a crocodile farm in the country. Sargsyan is convinced that the farm will be a big hit with kids and that tourists from all over the region will flock to see the farm, planned as a part of a larger entertainment park. “There is no place like it in the whole region,” Sargsyan told journalists. He has picked what he says is a perfect spot for his project: 60 acres of land in the village of Dashtavan, some 17 kilometers (10 miles) southwest of the capital, Yerevan. Village residents and local authorities are entirely on board with the plan, Sargsyan said. The park will be called Apshak, or “Marvel” in English, and while crocodiles will be the main draw it also will feature more mundane specimens of local fauna such as geese, chicken and ducks. Also included will be a dog park, sports infrastructure and a surfing machine. Sargsyan has done his calculations carefully. He said African crocodile eggs run $400 a pop – an investment he plans to recoup with ticket sales and, later on, crocodile skin sales. “We are in negotiations with several tribal farms in Tanzania, Kenya, Uganda and Zambia” on purchasing the eggs, he said. Although he has secured the backing of the authorities, the businessman has still run into some red tape. Since the crocodiles have not been to Armenia before, there was a snafu categorizing the reptiles for import purposes. It was eventually decided that live crocodiles will be classified as animals and the eggs as birds. Scientists say that, in many ways, crocodiles are birds anyway. For too long, Armenia has lagged behind its neighbors Azerbaijan and Georgia as a tourist draw. Armenia’s much-hated neighbor Azerbaijan has been spending its oil and gas riches to host extravagant international events like the Eurovision Song Contest and Formula One car races. Georgia has attracted visitors with its mountain vistas, sea resorts and its (now shaky) status of being the most promising democracy in the Caucasus. But lately Armenia has been punching above its weight and is threatening to steal the show from its neighbors. Last year’s political upheaval turned Armenia into the most dynamically developing place in the region. The country has also invested heavily in high-tech and boasts of the world’s longest zip line. The crocodiles could be a clincher. But, like any bold enterprise, the crocodile village has its detractors. Environmentalists say that Sargsyan has not done a proper assessment of the environmental impact and without it “the program is full of risks,” in the words of a local environmental NGO, Civil Voice. One such risk: the creation of a crocodile reservoir could put pressure on the water supply system in an area that is already too dry. Some worry that the project could go wrong Jurassic Park-style if the crocodiles fly the coop. 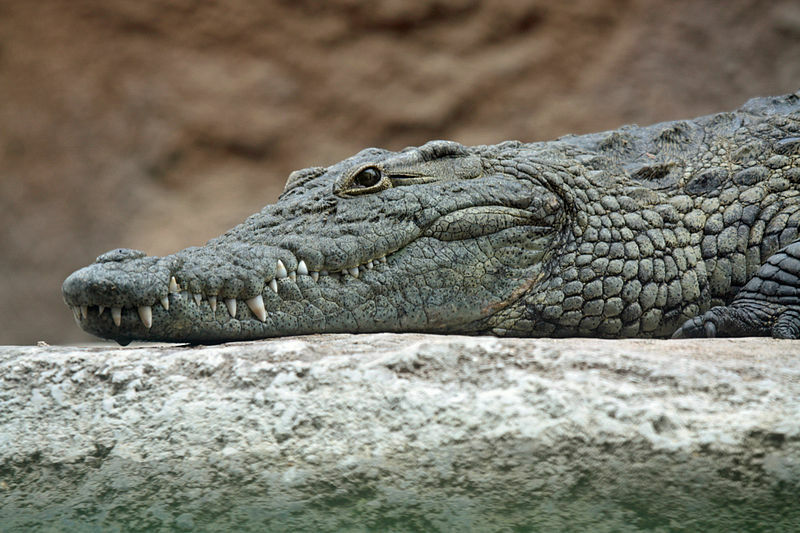 “How will the crocodiles blend with our ecosystem?” asked environmentalist Karine Danelyan in comments to the Voice of America Armenian service. Giorgi Lomsadze is a journalist based in Tbilisi, and author of Tamada Tales. Sign up for Eurasianet's free weekly newsletter.